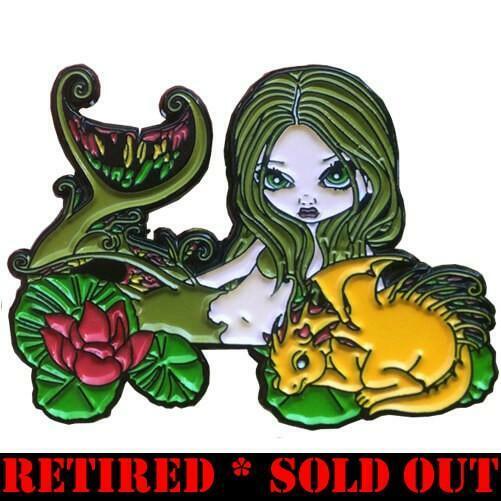 While we here at Strangeling.com have SOLD OUT of this pin, Paul & our friends at StrangelingUK.com HERE still may have a few “Mermaid with a Golden Dragon” pins available across the pond. They are more than happy to ship to the USA or anywhere else in the world, so definitely give them a shot! 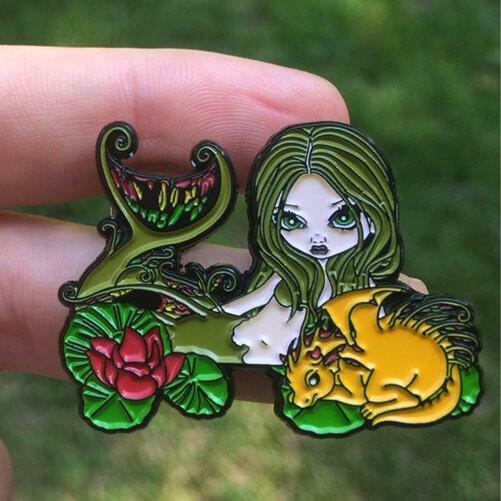 Our Pin of the Month released in August, 2017 – “Mermaid with a Golden Dragon.” Based on my original painting of the same name, she is one of my favourite Mermaids. 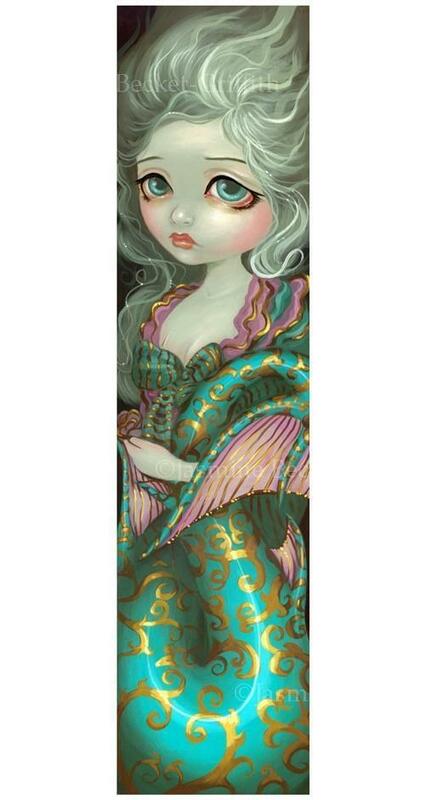 I like the idea of dragons & mermaids hanging out! 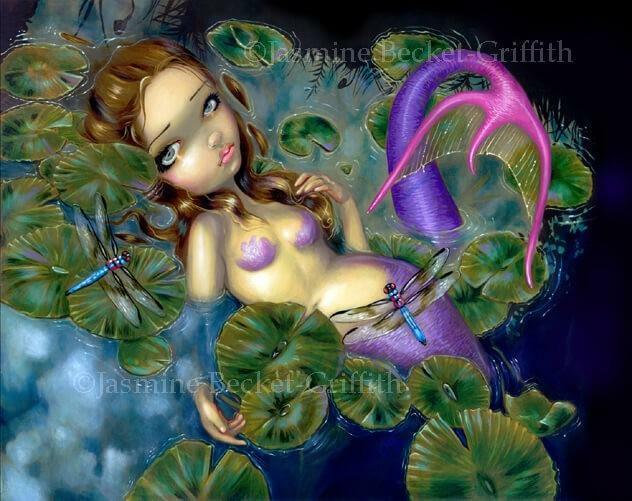 I’ve also chosen this image as it’s the painting that appears as the cover of my upcoming Mermaids Coloring Book (about which I am very excited! ).